Christian Irvine (Fall '99) and his wife, Lettie, welcomed their third child into the world. 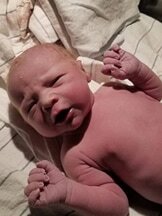 Jacob Douglas Irvine was born on Saturday, November 6, 2018 at 8:46pm in Nashville, TN. Jacob was 20.5 inches in length and weighed in at 8lbs and 1oz and was delivered by his daddy, Christian! Congratulations to the Irvine family. 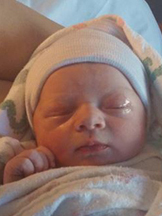 Austin Parten (Spring '06) and his wife, Courtney, welcomed their second child into the world. Aaron Bryant was born at Community North Hospital in Indianapolis, Indiana on January 27, 2017 at 6:44pm. Aaron weighed in at 7lbs, 11oz and was 20 inches in length. Congratulations to the Parten family. 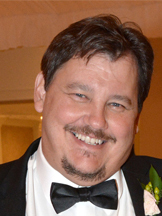 LEBANON, TN – Sigma Pi Fraternity, International is proud to announce the appointment of Michael D. Gardner (Spring ’06) has been named as Northern Indiana Province Archon. Gardner will work with the undergraduate chapters at Purdue (Eta) and Valparaiso (Beta-Tau), as well as alumni clubs and house corporations in the province. Gardner received his Associate’s Degree from Vincennes University in 2008 and is currently pursuing a Bachelor’s in Health Care Management from Southern Illinois University. He is currently serving in the Armed Forces as a Hospital Corpsman Second Class Petty Officer. He is currently stationed at Recruit Training Command in Great Lakes, IL. 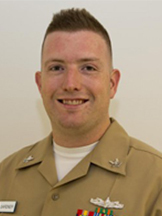 Gardner has deployed twice since enlisting in 2010 and has been awarded the Navy and Marine Corps Achievement Medal, Gold Star. He received the George Martin Patterson Scholarship while serving as Sage in 2006. He also serves as an alumni volunteer on the Alpha Alumni Advisory Board and Housing Corporation. Calvin Wayne Neace, Age 50 of Zeeland, Michigan, formerly of North Judson, IN passed away Thursday, October 27, 2016 in Indianapolis, IN. He was born August 15, 1966 in Chicago, Illinois. Calvin lived by strong morals and values instilled by his parents. He loved his work as a line-maintainer at Ardagh (Rexam) in Valparaiso, IN and served as President and Vice President of his local union, United Steel Workers USW Local 01885 and as Steward for his grievance committee. He also loved golf and spending time with loved ones. Survived by his parents Betty & Charles "Mac" Neace; His daughters, Rebecca (Kevin) Bryant, Gabrielle Neace, Madelyn Neace; His grandchildren Alana & Harrison Bryant and loved one, Suzann Witkowski along with her children Jennifer and Ryan Witkowski. 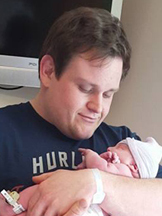 Zach Thomas (Fall '08) and his wife, Shelby, welcomed their first child into the world. Emma Rose was born at Community Southern Hospital in Indianapolis, Indiana on June 18, 2016 at 11:13pm. Emma weighed in at 7lbs, 6oz and was 20 inches in length. Congratulations to the Thomas family. CHAUTAUQUA, NY - The Vincennes University Golf Team showed outstanding ability to maintain its concentration, coupled with additional mental toughness to withstand pesky weather and a "refuse-to-lose" attitude in securing the program's second NJCAA Div. III National Championship. The Trailblazers - who also won the national title in 2013 - grabbed their latest national crown by 15 strokes over Georgia Northwestern Tech, 1198-1213. VU took command of the four-day tournament, led by three strokes after Day 1 and increased its lead after each day's play concluded. VU Coach Dennis Chattin (ΓΠ, Indiana State) who picks up his second NJCAA Div. III Coach of the Tournament award, had stressed the importance of maintaining concentration all the way through the event and getting consistent scores while having various golfers from throughout the lineup shoot low scores when needed. His team responded and performed. The result was a lead as wide as 20 strokes after the third round and a comfortable cushion until the end. "They really did the job," Chattin said of his team's ability to execute the Trailblazer gameplan. "One day, Jacob (Bartley) was the low guy, another day Jacob and Joe Davis tied as low man, a couple of other days Ian (Weyer) had the low score for us. Guys just really stepped up and allowed us to stay ahead. I'm really proud of the effort from everyone; the (total) score of 1198 is among the lowest ever at this location for the championship (tournament). "The round of 293 was also among the lowest for a round," he continued. "What's even more impressive is that they put that round together in some tough (weather) conditions and you might say that was the 'separator' (from the remaining field) for us. It was windy and chilly that day and it had rained earlier so it was wet too." For complete story, please visit here. For complete statistics from the 2016 NJCAA Div. III Golf National Championship, visit here. 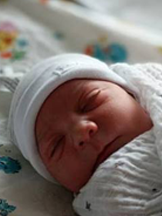 Michael Bault (Fall '04) and his wife, Jordan, welcomed their first child into the world. Alexander Raymond was born at IU Health Women's Center in Avon, Indiana on June 6, 2016 at 5:06pm. Alex weighed in at 8lbs, 5oz and was 20 1/2 inches in length. Congratulations to the Bault family. Ryan Robertson (Fall '95) and his wife, Carolina, welcomed their second child into the world. Isabella Jane was born at Presbyterian Hospital in Denton, TX on June 2, 2016 at 3:14am. Isabella weighed in at 4lbs, 14oz and was 18 1/4 inches in length. Congratulations to the Robertson family. 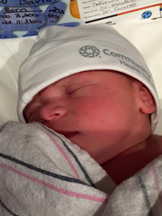 Billy Eggert (Fall '09) and his wife, Cortnee, welcomed their first child into the world. 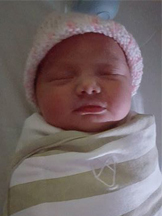 Faie Alene was born at Saint Joseph Hospital in Plymouth, Indiana on March 21, 2016 at 11:22am. Faie weighed in at 7lbs, 12oz and was 20 inches in length. Congratulations to the Eggert family. 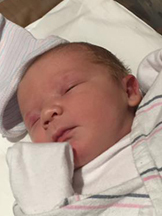 Josh Wilson (Fall '97) and his wife, Jamie, welcomed their second child into the world. Norah Elise was born at Desert Banner Hospital in Gilbert, Arizona on March 12, 2016 at 11:55pm. Norah weighed in at 7lbs, 4oz and was 20 inches in length. Congratulations to the Wilson family. Christian Irvine (Fall '99) and his wife, Lettie, welcomed their second child into the world. Noah Michael Irvine was born at Gateway Medical Center in Clarksville, TN on Saturday, February 13, 2015 at 8:31pm. Noah was 19.5 inches in length and weighed in at 7lbs and 3oz. Luke Newton (Fall '97) and his wife, Sarah, welcomed their first child into the world. Beau David Newton was born at Community Hospital South in Indianapolis, IN on February 3, 2016 at 11:31am. Beau weighed in at 7lbs, 5oz and was 20 inches in length. Congratulations to Luke and Sarah! 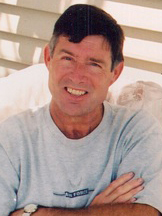 Douglas Welch Lindvall, 68, of Springfield, passed away at 1:53 a.m. on Friday, January 29, 2016 at St. John's Hospital. Douglas was born August 25, 1947 in Plymouth, Indiana, the son of Lawrence and Martha Welch Lindvall. Douglas attended Vincennes University and Eastern Illinois University where he was a member of Sigma Pi Fraternity. Douglas owned North Central Meats. He was a buyer for Bunn Capital Corporation and while there, established their meat department. He also owned Nelson's Catering for 20 years. He was a member of Good Shepherd Lutheran Church in Rochester, where he served as an Elder. He had a passion for coaching high school basketball, and was dedicated to thoroughbred horse racing. He was preceded in death by his parents, one granddaughter Madelyn Trapani and sister, Marsha Banning. He is survived by two sons, Joshua Lindvall and Jeffry (Rebekah) Lindvall both of Springfield; one daughter, Jennifer (Larry) Trapani of Springfield; seven grandchildren, Addison and Kennedy Lindvall; Juliet, Aurora, and June Lindvall; and Dominic and Matthew Trapani; one brother, Lawrence (Janet) Lindvall of Indiana; one sister, Sharon (Norman) Witt of Florida; and several nieces and nephews. Visitation: Family will receive friends from 5:00 p.m. to 8:00 p.m. on Tuesday, February, 2, 2016 at Kirlin-Egan & Butler Funeral Home, 900 S. 6th Street, Springfield. Funeral Ceremony: 11:00 a.m. on Wednesday, February, 3, 2016 at Good Shepherd Lutheran Church, 1 Camelot Drive, Rochester, with Pastor Samuel Jansen officiating. Graveside Ceremony: 2:00 p.m. on Thursday, February 4, 2016 at the Masonic Cemetery in Culver Indiana. In lieu of flowers, memorial contributions may be made to: Jimmy V. Foundation – E.S.P.N., 14600 Western Parkway, Cary, NC 27513. Published in The State Journal-Register on Jan. 30, 2016. Michael A. Johnson, 67, of Frankfort, passed away Friday, January 15, 2016, at IU Health Arnett Hospital in Lafayette. He was born June 10, 1948, in Frankfort, to the late William Thomas Johnson and Mary Elizabeth (Sentz) Johnson, and she survives. On August 12, 1978, he married Cathy Ogden in Frankfort. 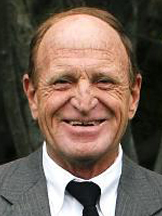 Mike graduated from Frankfort Senior High School in 1966. While at Vincennes University, Johnson pledged the Alpha Chapyer of Sigma Pi Fraternity in 1967. He was a farmer and worked at Sun Chemical as a Lab Technician. He served six years in the US National Guard as an Infantry Scout. He was an avid tennis player and loved Purdue Basketball. Surviving are his wife, Cathy Johnson; two children, Michael O. Johnson of Frankfort, and Morgan Elizabeth Blair, and her husband Martez, of Panama City, FL; one brother, Randy L. Johnson, and his wife Vicki, of Tucson, AZ; and three grandchildren, Liam Michael, Leyton Martez, and Lane Morgan Blair, all of Panama City, FL. A memorial service will be held on Wednesday at 1:00 p.m. at Trinity United Methodist Church in Frankfort, with Pastor Ed Pearson officiating. Visitation will be at the church from 11:30 a.m. until time of service. Memorials in Mike’s name may be made to Clinton County Cancer or Trinity United Methodist Church. Arrangements are entrusted to Genda Funeral Home in Frankfort. Online condolences may be directed to www.gendafuneralhome.com. 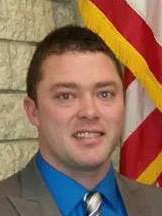 Shane Deaton (Spring '06) was recently elected to the position of City Council in Austin, Indiana. Deaton was sworn in during a ceremony held on Saturday, December 19, where he will serve for four years and can run for re-election thereafter. As a member of the legislative body, Deaton and the other members of the City Council can exercise many of the powers given cities through the passage of ordinances and appropriation of money. Now in its fourth year, #GivingTuesday is a global day of giving fueled by the power of social medial and collaboration. Observed on the Tuesday following Thanksgiving (in the U.S.) and the widely recognized shopping events Black Friday and Cyber Monday, #GivingTuesday kicks off the charitable season, when many focus on their holiday and end-of-the-year giving. #GivingTuesday will take place on Tuesday, December 1st. Please consider Sigma Pi, Alpha Chapter this year and make a tax-deductible gift to the James L. Hills Memorial Scholarship, the Ryan M. Donnoe Memorial Scholarship, or the Sigma Pi House Fund. Donate now by clicking ﻿here﻿. 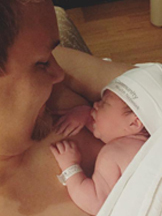 Preston Oberly (Fall '09) and his girlfriend, Sarah, welcomed their first child into the world. Garrett Preston Oberly was born at Memorial Hospital in South Bend,IN on November 8, 2015 at 4:02 pm. Garrett weighed in at 8lbs and was 21.5 inches in length. Congratulations to Preston and Sarah. 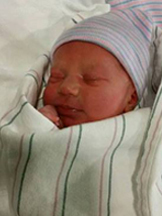 Hector Contreras (Spring '08) and Gillian Alvear welcomed their second child into the world. Itzel Evie Contreras was born at Franciscan St. Anthony Health Hospital in Crown Point, IN on Thursday, November 12, 2105 at 6:25am. Itzel weighed in at 7lbs and was 19 inches in length. Congratulations to Hector and Gillian. 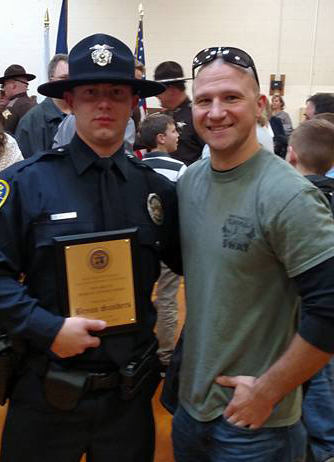 Bryan Sanders (Fall '08) recently graduated from the Northwest Indiana Law Enforcement Academy in Hobart, Indiana. Sanders received the Nick Schultz Award for Top Physical Fitness while at the academy. Sanders graduated from VU with a BS in Homeland Security and is a patrol officer with the Dyer (IN) Police Department. Eric Leffler (Fall '96) also known as DJ E.L., has been selected as one of the official DJ's for the Jacksonville Jaguars NFL team. At every Jacksonville Jaguars home game this season, DJ E.L. will perform in the FAN ZONE for Jaguar fans. This will add to Leffler’s current duties as the official DJ of the Jacksonville Armada FC, NASL soccer team. After graduating from VU with a general studies degree with emphasis on broadcasting, Leffler started spinning and working the mic. DJ E.L. has worked for such organizations as Carnival Cruise Lines and 107.5 Outlaw Country in Santa Fe, New Mexico as the Voice and Imaging Director. In addition, DJ E.L. has worked as a professional ring announcer, announcing and Djing MMA matches, which included great fighters such as Jon Bones Jones, Thiago Alvez, Corey Smith, Rashad Evans, Seth Petruzelli, Luigi Fioravanti, Jarrod Card and many others. In addition to Leffler’s new role Djing for the Jaguars, DJ E.L was just announced as the official DJ of the Florida Georgia Weekend Tailgate Party, headlined by The Band Perry, where he will be tasked with entertaining the 8-10,000 concert-goers in between sets of the bands. Some other notable mentions for Leffler include being the official DJ for the Murray Brothers Caddyshack Charity Golf Tournament at the World Golf Village in St. Augustine, FL where he opened for Bill Murray. He also opened for Jake Miller, Sky Blu (formerly of LMFAO), DJ ENFERNO (Madonna's Tour DJ, J-Dash, Uncle Kracker, Steve Azar, Preston Pohl and many more. Randall E. Neal (Fall '96) and his wife, Jamie Zajac-Neal, welcomed their first child into the world. 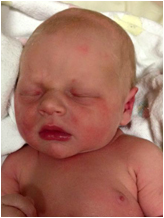 Peyton Eugene Neal was born at Lutheran Hospital in Wheatridge, CO on Thursday, September 10, 2015 at 1:10pm. Peyton weighed in at 6lbs and 7oz. Congratulations to the Neal family! 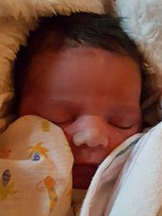 Michael Ernest (Spring '98) and his wife, Maggie, welcomed their third child into the world. 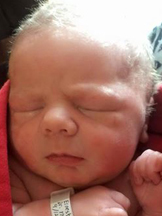 Andrew Arnold Ernest was born in Indianapolis, Indiana on Saturday, September 12, 2015. Andrew weighed in at 8lbs and 5oz. 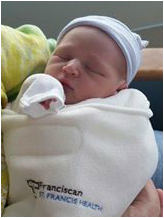 Brendon Hope (Fall '99) and his wife, Robin, gave birth to Emmitt Thomas Hope at St. Francis Hospital in Indianapolis, IN on September 10, 2015 at 8:45am. Emmitt weighed in at 7lbs and 2oz and was 19.5 inches long. Congratulations to the Hope family. 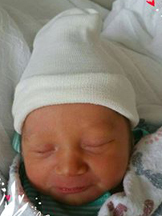 Matthew Hyde (Fall '07) and his girlfriend, Ashley, welcomed their first child into the world. Nora Grace Hyde was born at Riverview Hospital in Noblesville, IN on Thursday, July 16, 2015 at 10:28pm. Nora was 20 inches in length and weighed in at 6 lbs and 15 oz. Congratulations to Matt and Ashley!